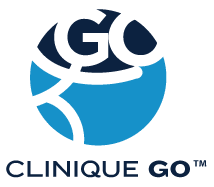 Clinique GO™ offers in-home and workplace health care services. We provide full range services within the Greater Montreal area, including Laval, Longueuil, Monteregie, Lanaudiere and the North Shore of Montreal. Our team is here to provide tailored health care services to improve your quality of life, whether it is in the comfort of your own home, in a retirement facility or at your workplace. Our speed, flexibility and ability to respond quickly has earned Clinique GO™ an excellent reputation over the years. Our strong commitment to customer satisfaction applies to both homecare, as well as workplace health care. Our reputation is also built on having successfully completed hundreds of professional terms within the public and private health care sector, as well as social services. We offer receipts for insurance and tax purposes. Since Clinique GO™’s inception in 1988, we have offered in-home physiotherapy, occupational therapy and geriatric rehabilitation services. Almost 20 years later, we offer a wider range of mobile services to enhance our clients’ well-being. Clinique GO™ caters to patients of all ages. Our team of qualified health care professionals have the necessary skills and qualifications to help deal with, heal and advise children, adults and the elderly. All these services are provided by carefully selected and certified professionals. Our team of professionals are in good standing with their respective professional associations. When contacting Clinique GO™, you will receive reliable and high quality services provided by certified professionals. Avoiding traffic and parking problems, you will benefit from services at your chosen location at rates no higher than would be charged in a clinic setting. Because our approach is predominately hands-on, we do not require a lot of equipment. Depending on the service requested, some of our health care professionals bring their own portable treatment table. Our in-home health services are also available in a package, in partnership with CaringForMyHealth.